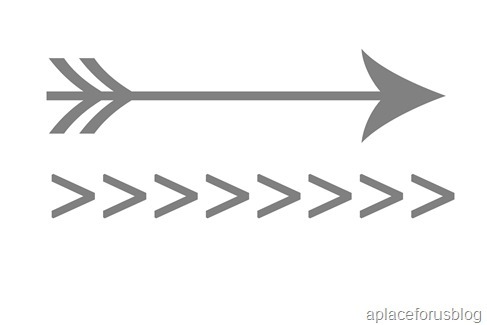 Arrows seem to be a big design trend these days. Whether it’s on a bracelet. necklace, or all over your own instagram feed, arrows are everywhere. I recently added some to my gallery wall and was inspired by some of the ding backs, symbols and elements that I sometimes add to my own feed and see on others feed. If your wanting to do this to your own photos, make sure you download the app PHONTO! 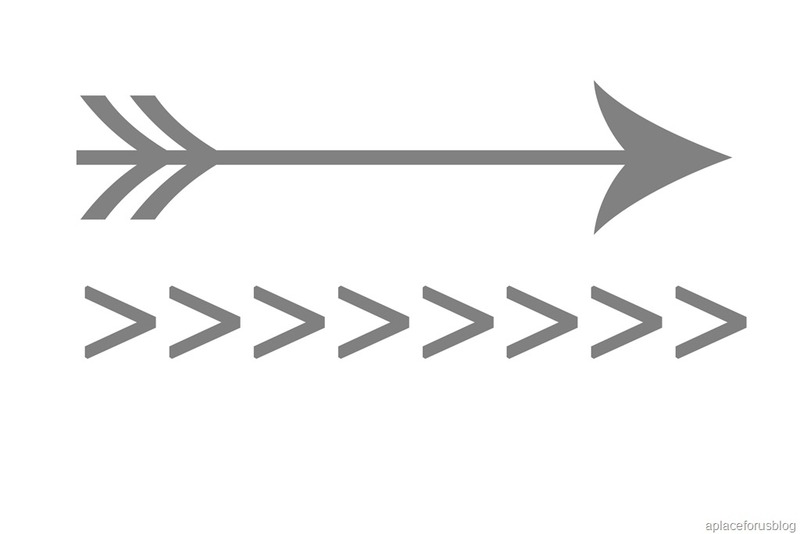 So when this idea came to mind I called up my local friend from Hautala Couture and asked her to make some custom arrows for my gallery wall. I created a sample on photoshop elements, sent them over to her and she made it happen! Here is my gallery wall coming together last year….. Here it is after the added arrow elements and some other finishing touches…. How do you guys feel about the arrow trend? I personally LOVE it and can’t wait to use it more:0) Happy Monday Homelovers! I love the gallery wall! Simply beautiful! 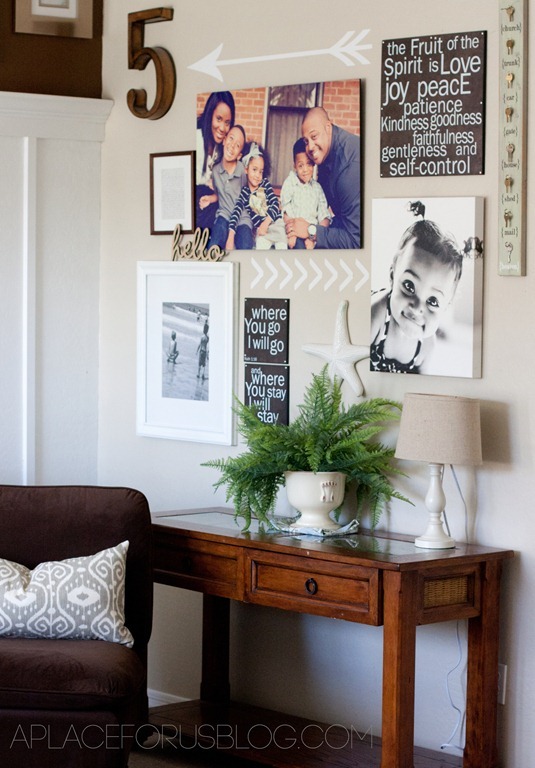 oooh I am loving all the arrows that are going around right now and I am swooning over your gorgeous gallery wall. It looks even better with those arrows!!! PERFECT!! This turned out perfect! It does help to have a really good looking family too… that always helps! I think that your post with the arrows looks great and that the wall looks fantastic too! I love the number 5- looks like you do too! 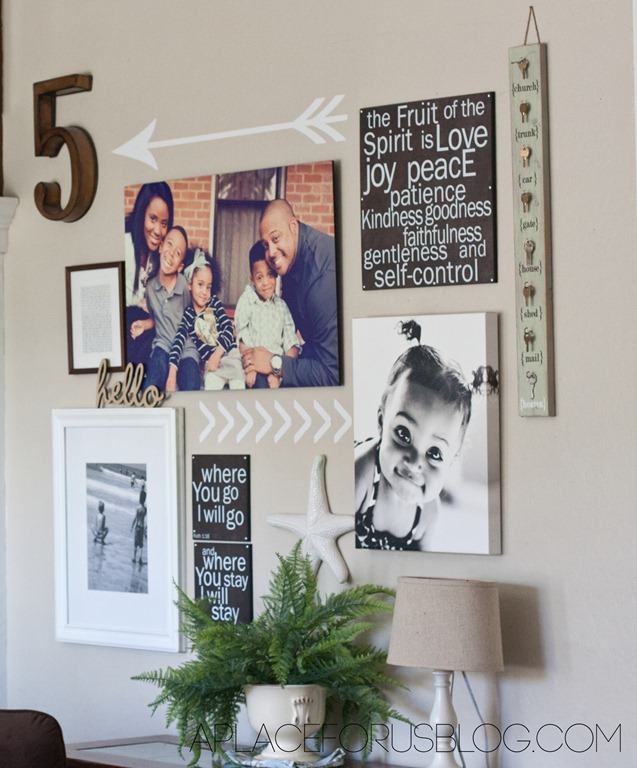 Your wall looks gorgeous, I love the way you’ve painted the arrows on too! I’ve got this linked to my gallery walls roundup post as well today! I’m in LOVE! This is so amazing. I have been trying to think of ways to use my Insta pics and this is on the top of my inspiration list! 🙂 Thank you for sharing! Wow! How lovely is this!? You did a superb job, girl! In love with it all! 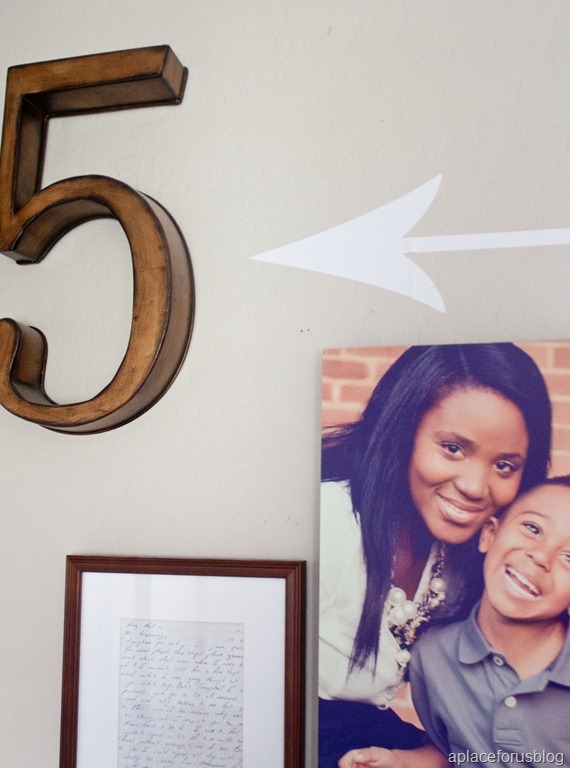 i absolutely love your gallery wall…found you from a handmade home’s site. 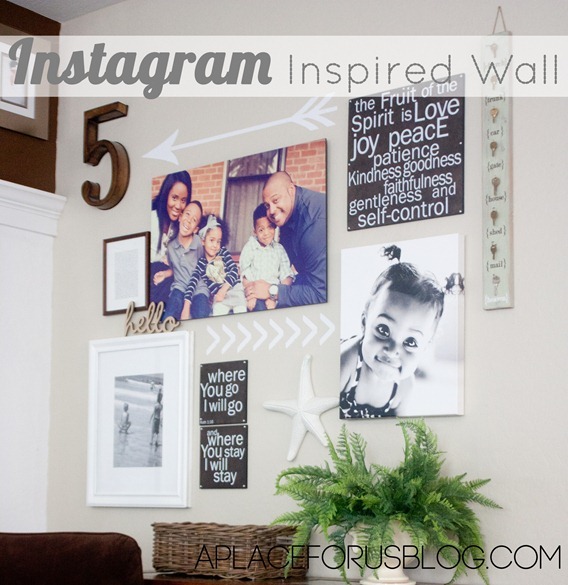 Ashley featured this project of yours! glad to meet you and hang out in your space here for a while. 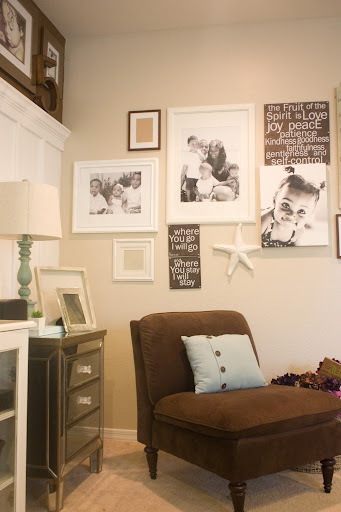 I’ve been putting a gallery wall together for my front wall, and came across this on Pinterest. I have to tell you, yours is one of the best I’ve seen! I love that it’s not just a shrine to your family with pictures. You have a lot to look at and have created art with it. It’s fun, and I can see your personality through it. It’s perfection! New to your blog. Came over from Remodelaholic. 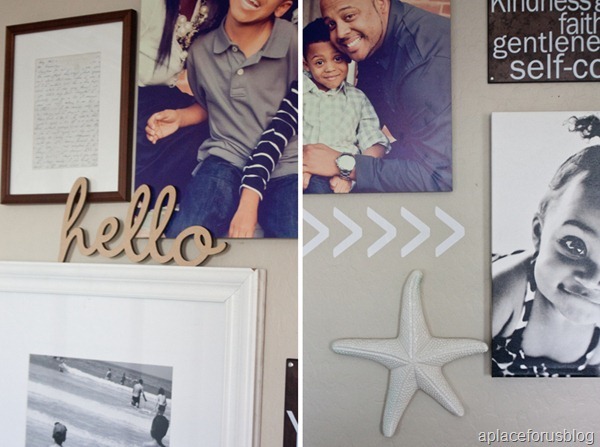 Love the gallery wall. I haven’t gone over the rest of your site yet, but I’m assuming that huge B&W is of your daughter? Absolutely gorgeous! OMG cutest thing I’ve seen in a while! I need to do this for my house. I can’t wait to get our family pics back so I can do this! Great blog!